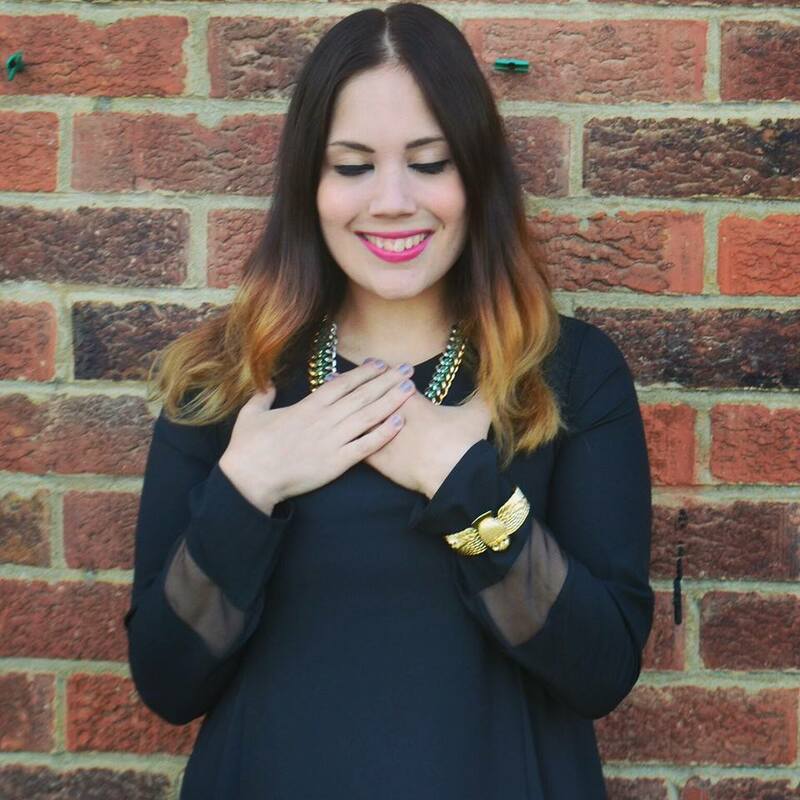 I love days out and often spend my weeks living for the weekend and making plans. 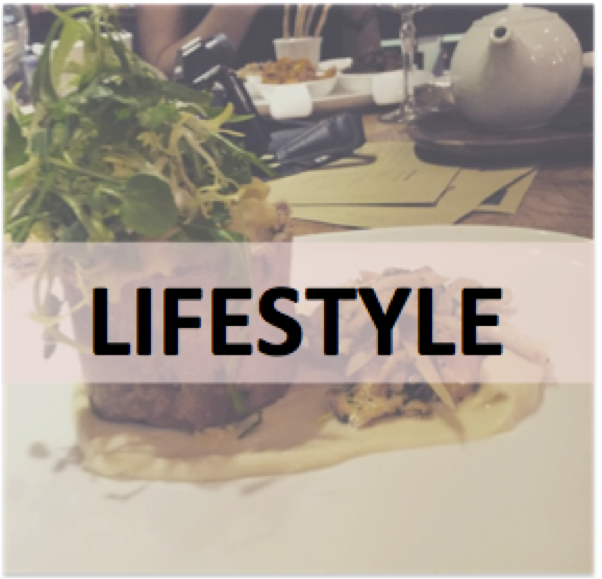 My favourite days out range from spending a day sailing on the coast to a luxurious spa day with my husband. There's nothing I love more than the feeling of travelling and adventure, even if the journey consists of a 10 minute drive to somewhere I have never been before. Into the Blue is website that sells gift vouchers for days out all across the UK and Europe. There's something for everyone: the thrillseekers, the romantics, city breakers, those with a passion for history, food and adventure. 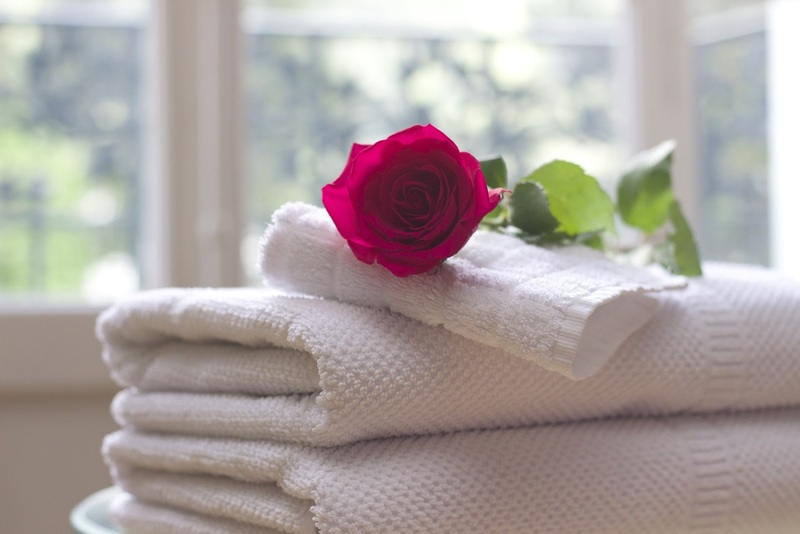 If you prefer your weekend to be a few days of relaxation, there's also an ample supply of spa day vouchers too. Into the Blue recently contacted me to see if I would like to take part in their 'blogger scavenger hunt' on the travel bloggers team. The team consisted of Mandy from One Slice of Lemon, Amy from Cocktails in Teacups, Katie from Mum Taught Me Fashion and myself. Each blogger was given a clue to an experience day on site and once the clues had been answered, we each had to take the first letter of answer to reveal the final result. The prize was a £400 experience day and runners up each received a £20 voucher or a goodie bag. 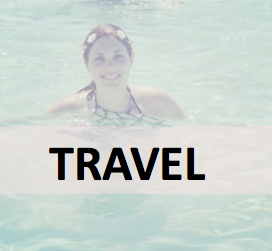 It's very rare that I enter competitions like this, but I thought it would be a great way to get to know some fabulous travel bloggers and also the prize was far too good to miss out on. We all worked really hard to try figure out our questions but unfortunately lost out to the worthy winners who were the parenting blogger team. 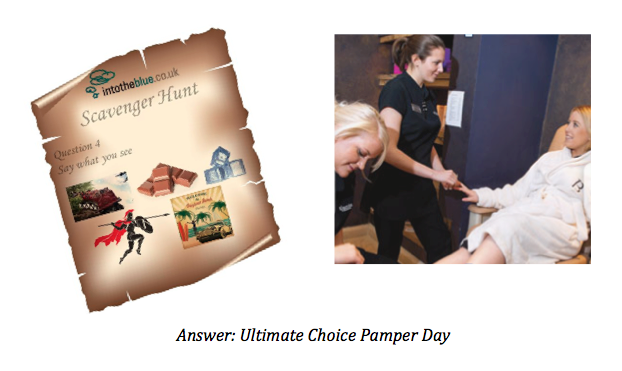 The answer to my question was the Ultimate Choice Pamper Day and it was the most difficult one we had to answer. Maybe next there's a blogger comp, I should brush up on my quiz skills. Have you heard of Into the Blue? I have no idea how you worked that out! I can see 'ultimate' (though wouldn't have guessed it!) but beyond that I'm lost! Sorry you didn't win but you did great to get the answer!